On 30 of July 2017, we finalized the project “Urban Art & Social Entrepreneurship”. Click for UASE project results. Thanks to all partners, participants and collaborators of the project for their contribution! 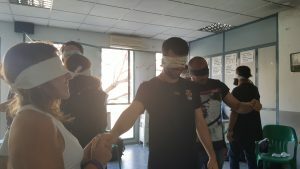 After the return of the training in Malaga and after the local activity 1, Young artists were involved in preparing the local activities 2. 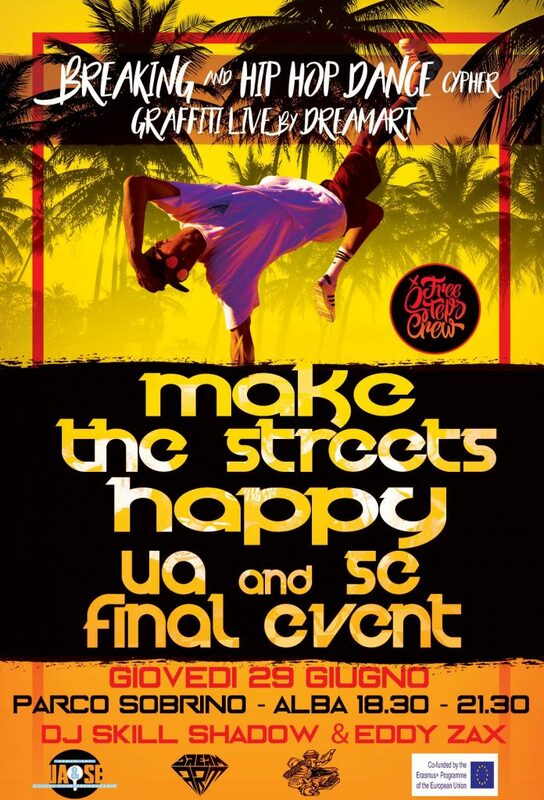 Decisions were made to organize the workshops and happy street, closer to the date in which the Cultural Association Moinho da Youth performs its biggest event called Kova M Festival at the end of July. During this time the Young Artists remodeled the music studio, had some meetings to prepare for our workshops that were held on July 26, 27, 28, 29 and 30. 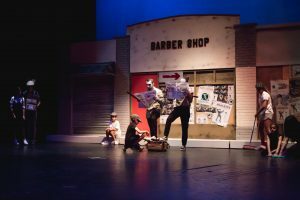 In this context the young artists were able to put into practice some of the skills they acquired in Málaga, in a real work context that is the realization of the festival, which lasts from preparation until its completion in a total of 6 months. However, in parallel with the festival, it was possible to hold the following workshop: Event Production Workshop, Artist Career Management workshop, Social Entrepreneurship workshop on the community and special, together with other young people and adults who are not artists, And we also did some happy street activities. 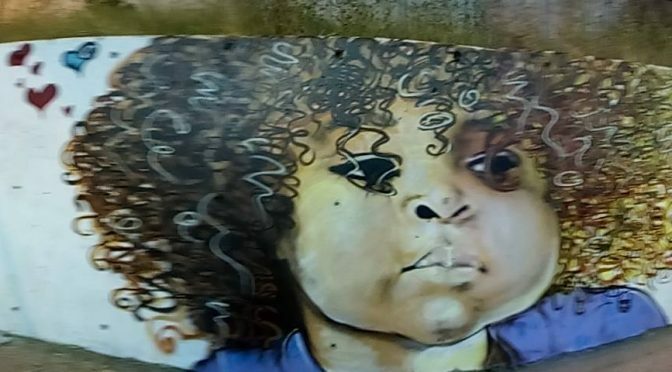 However young artists are rappers, graffiters and others, they have seen the harsh reality that urban art artists have great difficulty in making their art their way of life, on the contrary many work regularly, and with the salary of their work they sustain their passion for urban art. The UA&SE project was disseminated throughout the entire phase of the project, mainly in this stage of local activity 2. We spread through people contacts and through the internet, e-mail, youtube, etc. And due to the tight time, we had to adapt the project to the local situation, that is to say we also had other artists of styles of African music and dance art. We invited external trainers, that is to say we had other entities that collaborate with the project, such as Zulu Nation, security service professional, guest graffiti from Cape Verde, we had young people and animators from different nationalities, such as Portugal, Brazil, Cape Verde, Angola , Sao Tome and Principe. 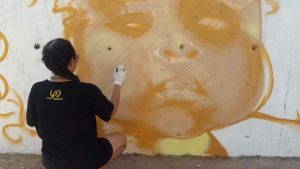 Urban art artists who have had the opportunity to participate in the UA&SE project have learned and demonstrated the skills that have been outlined as a project objective. They learned found rising skills, how to organize an event, how to legalize their work situation with finance (IRS), how to manage an artistic career, how to run a music studio, how to conduct a street activity (happy street). The young artists could also demonstrate the skills acquired through their participation in the team that organized the Kova M Festival event. The phase of Local Activities II was coordinate by Claudio Boano, who participated in the first meeting in Guatemala (he is also the general coordinator of the project for the association), Andrei Ginju and Nicolò Lepore, who were the two participants of the Mobility of Youth Workers in Malaga for our organization. The day 4th of June 2017 we organized a full day of activities in the headquarter of our Association where we did all the 4 workshops (social urban art, integral health of the urban artist, urban art and social pedagogy) from 10 am to 7.30 pm. The workshop about Health was given by Mirco Arione, an expert of this subject, graduated in physiotherapy. 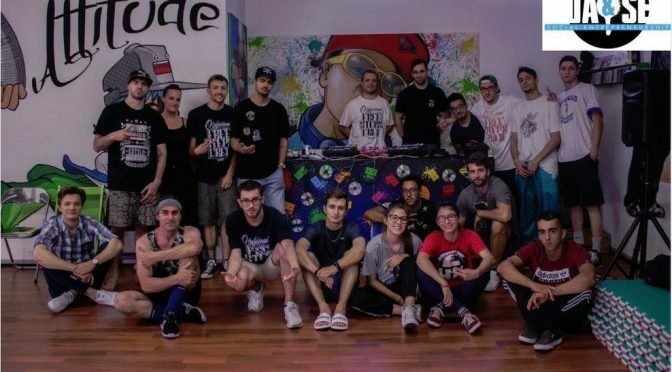 The Urban Art workshops was held by Bboy Rufy, a professional Bboy from Torino, also working in our association, Brown, an hip hop dancer with many and many years of experience, and Dj Zaaa that is one of the Dj pioneer in our territory. Andrei and Nicolo’ provided the Social Urban Art and Claudio held the Social Pedagogy workshop. We had more than 15 participants during the day, and all of them were surprised aboutthe project and the workshops. They appreciate so much the fact that all the activities were interesting, developed in a dynamic and participative way. On the 29th of June 2017 we organized the final event of the project: “Make the Streets Happy”. It was a Hip Hop Jam with all the 4 artistic elements of the Hip Hop Culture. 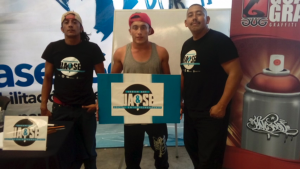 We did it in the H-Zone, which is the Youth Centre of our City, we appreciate a lot the fact that they gave us the place and also they were happy to help us with this event. A lot of people came to enjoy the party, dance, talk and support us; we decided also to take some minutes to promote and spread knowledge about UA&SE Project and the Erasmus+ Programme of the European Union. People reacted in a very positive way and they were interested about the meaning and aims of the Projects and what we did. The local activities II have been built up and implemented by the association Da Storm in Nîmes. We chose to assemble all the workshops (social urban art, social pedagogy and urban art, better faster stronger and artistic evolution in urban art) in one single training day. 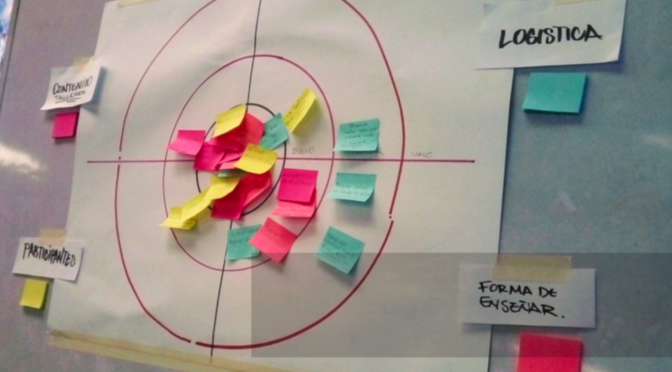 Thus, we created 2 training days: one targeted towards youth workers, organized on May the 5th, another targeted towards urban artists, organized on June the 28th. We chose to differentiate those two audiences to better adapt the content of the workshops to the concerned people. That’s why we didn’t focus on artistic evolution in urban art while we were talking to youth workers. The workshops have been carried out by one of the two artists that participated to the Mobility of Youth Workers. 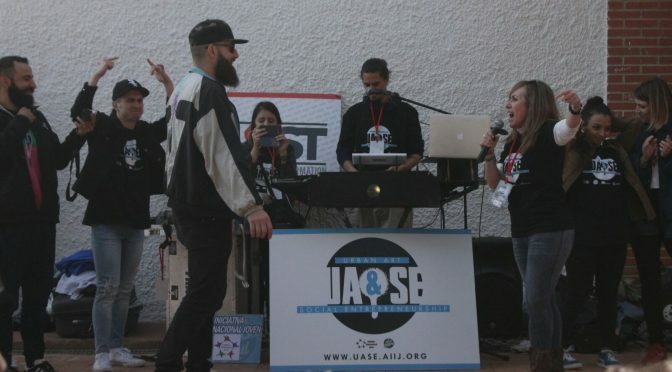 Youth workers especially felt concerned by the concepts relative to social inclusion and the way Hip-Hop could be used to help youth develop themselves personally and professionally. Regarding the artists, they were interested in the way they could use their art to become agent of social change. Finally, on June the 18th, we lead the visibility activity. We chose to implement it during an event part of our festival to provide more visibility to the project. We could thus present the project and the Erasmus+ Programme of the European Union to a wider audience. This afternoon the Italian partner of the UA&SE project Espressione Hip Hop will realize the final event in the scope of the local activities phase. There will be activities with the local urban artists including DJs, break dancers, MCs and graffiti artists. ALso there will be free cyphers of breaking and hip hop. The event will be between 18:30 – 21:30. You can see the details on Facebook event page. For the local activities II carried out on the 24th of June in Villa Nueva (Guatemala), data collected in Local Activities I was considered very important, in particular the fact that 45% of the respondents work and live on their talent, both partially or impartially, motivated us to make a specific list of guests for implementing the activities of this second phase. However, we gave more publicity and every person interested could join us. The group of guests was young people that are developing small personal and community projects in the most popular neighborhoods of the surrounding area. The work shops were unified in one single activity carried out from 9am to 5pm in the building of the Youth Coordinator in Villa Nueva (Guatemala) and the four topics and its content agreed during the Mobility of Youth Workers were included, with any kind of exclusion. The response of the young people who has been trained and the representative of the Youth Coordinator was highly positive since the information provided was both dynamic and comprehensible, in a language that covered new terms, which were duly explained, as well as in the natural and adaptable lexicon of the local young people, showing great mastery of the terms, concepts, methodology and knowledge useful for all people. The evaluation that the participants gave to this training was rated excellent in terms of organization, punctuality and content quality. The Local Activities phase II was designed, coordinated and implemented by the T.E.A.M. Hip Hop Collective Center, from Nicosia. At the time of design, we considered that all activities have been unified over several consecutive days so that participants can participate in all of them. 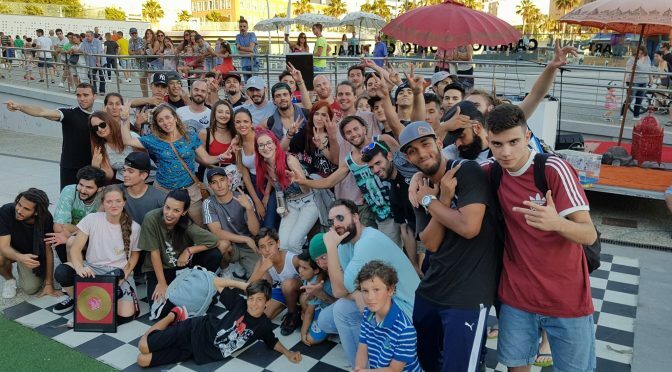 Therefore, during Sunday 4th June, all the workshops (social urban art, integrated urban health, urban art and social pedagogy, artistic evolution in urban art) were performed during the day. Each workshop has been taught by two different participants (urban artists) of the mobility of youth workers organized in this project. To see how urban artists developed themselves as instructors on issues that were unknown to them 6 months ago, it was very positive and satisfying. In the implementation of these workshops we could verify that they acquired and assimilated the knowledge, skills and attitudes they offered during this project. The evaluation of the artists who participated in these workshops was very positive and valuable to them as the content was taught as well as the methodology they used. They appreciated it because they were very informative, dynamic and analytical in every subject. 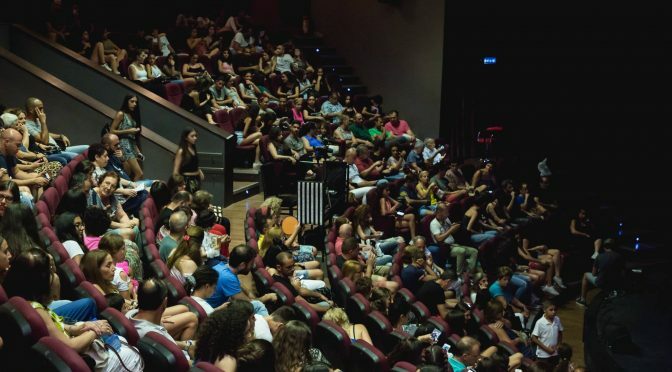 On July 4th, TEAM materialized the final event of this project under the name “Real Eyes” at Slatyriko Theater of Vladimiros Kafkaridis in Aglantzia where we presented the themes we had prepared in the workshops and showed how the machine of the political system works in the world in general to awaken each viewer during the project. (Through the four elements that make up the hip-hop culture). During the whole event, the viewers were left excited about how we were able to show with our art this aspect of the society that is hidden while it is obvious in front of everyone’s eyes. Initially, we gave general information about the UA&SE project and in the end we presented the project’s photographs to the public. We invited them to get more information and follow us on the internet and social networks of this project. People left the theater excited and gave us very positive feedback on our work. On the day 18 June 2017, the partner from Cyprus of the UA&SE project T.E.A.M is going to present a series of workshops that aim to use urban art and hip-hop culture as a tool to transform the society and advance the professional skills of young artists. The phase of Local activities II was planned, coordinated and implemented together by organizations, Joven and El circulo breaking from Málaga. At the time of planning we considered to unify all the activities in several continuous days, so participants could take part in all of them. 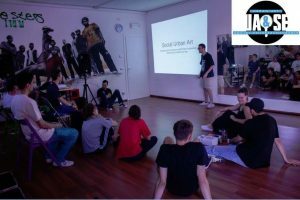 Therefore, during the weekend between 3rd and 4th of June, we carried out all the workshops (social urban art, integral health of the urban artist, urban art and social pedagogy, artistic evolution in urban art). Each workshop has been taught by two different participants (urban artists) of the Mobility of Youth Workers that was organized in the framework of this project. To see how urban artists developed themselves as trainers in topics that 6 months ago were quite unknown for them, it was very rewarding and satisfying. During the implementation of these workshops we could verify that they acquired and assimilated the knowledge, skills and attitudes that we proposed during this project. The evaluation of the artists who participated in these workshops was very positive and valuable for them, as the content taught as well as for the methodology used, they appreciated it because it was very participative, dynamic and funny. The following day, during the monthly event that is performed by El circulo breaking (Jamonth), we organized the visibility activity of this project. The activity was carried out in the city centre of Málaga, next to the Harbour. At the beginning, we gave general information of UA&SE project and during the break dance competition, we showed pictures of the project to the public, we had interviews with some of the participants, we explained some practical examples of the new competences acquired, and finally we invited them to get more information and follow us on the web and social networks of this project. Tomorrow the Italian partner of the UA&SE project Espressione Hip Hop will realize a one day long workshop in the scope of the local activities phase about topics: Health and Accident Prevention, Social Inclusion and Pedagogical Value of Hip Hop Culture. Also there will be workshops and free cyphers about hip hop dance, DJing, break dance. The workshops will be between 11:00 – 19:30.